There are big things happening in Essex County health care right now. While many smaller rural hospitals nationally have struggled and ultimately closed, forward thinking and neighborly outreach at Moses Ludington Hospital in Ticonderoga have enabled a transformation that will allow it to serve as the cornerstone of the Health and Living Center there. Moses Ludington first opened its doors in 1908, but a little over 20 years ago it started to falter, facing limited resources and unreliable revenue. In more recent years, Moses Ludington faced significant financial challenges—some of the same that plagued other small, rural healthcare facilities across the nation. In figuring out how to remain viable, the small Ticonderoga hospital needed to redefine itself and look outward. In 2014, the board of directors decided to begin discussions with potential partners about necessary changes, which ultimately led to a soon-to-be-formalized affiliation with the University of Vermont Health Network Elizabethtown Community Hospital. John Remillard, president of the Elizabethtown Hospital, began serving as president of Moses Ludington in 2016; the two hospitals also share chief finance and information officers, as well as vice presidents of operations, nursing, and various department managers. Staff at the two institutions have been collaborating since 2014, as the overall transformation project is significant, and its legal changes are complex. The affiliation between the two hospitals will become formalized this year, once state approvals become official. At that time, Moses Ludington will be owned and operated by Elizabethtown Community Hospital and as such, will become a part of the University of Vermont Health Network. It was a strategy that required a great deal of planning, coordination and support from a number of outside entities. As it turns out, the plan for Moses Ludington has been embraced and lauded. 20 percent of the institutions that applied were awarded any support.) New York State thought plans for the collaboration between Moses Ludington and Elizabethtown Community Hospital were a great idea, and awarded the project a $9.1 million renovation grant. Construction on the reinvented facility began in March 2017 and is expected to last about a year and a half. To ensure the hospital can remain operational during the renovations, the construction has progressed in phases. The first phase of the project—the Specialty Physician Clinic space— was completed in October 2017. A number of medical specialists travel to Moses Ludington on a regular basis to meet with many patients in a single day of clinical appointments, eliminating the need for patients to travel great distances for specialty medical care. The new Specialty Physician Clinic space offers its own reception and waiting areas for privacy, a number of exam rooms, two procedure rooms, and a recovery area. Already, area patients have been able to receive infusion treatments locally for a variety of medical conditions that would have previously required frequent and extensive travel time. Visiting specialists can also easily order lab or radiologic testing right at Moses Ludington. The second phase of the renovations at Moses Ludington will greatly improve the hospital’s emergency department and lab. Currently the ED is best described as a hallway. The healthcare team has been providing amazing care with limited space, but they are looking forward to what’s next for them. Julie LaMotte, BSN, emergency department manager, is excited about what these renovations mean for her team. “Emergency departments require an appropriate layout and sufficient space for clinical staff to care for injured or seriously ill patients easily and efficiently. This renovation will ensure that staff can work quickly when patients require care,” she said. The newly renovated Emergency Department will be over four times the size of the current ED, allowing for larger rooms, a four-bed observation unit, and an appropriate layout with sufficient space for clinical staff to care for patients, as well as its own waiting area for patients’ families. This phase of the transformation and renovation also includes a new laboratory, located adjacent to the main lobby, so that patients can get their lab work or routine testing completed on site, offering quick turnaround time for results. The newly designed lab ensures increased privacy and comfort. Additionally, this phase of the reconstruction project also includes new pharmacy space. The pharmacy at Moses Ludington serves all of the other departments—clinical staffs rely on it to offer support services to the emergency department, specialty physician clinic, and radiology. The new pharmacy space will be located for ease of access by clinical staff, with larger, more efficient space for pharmacy staff to work. This phase is the project’s largest and that’s the way it was planned. 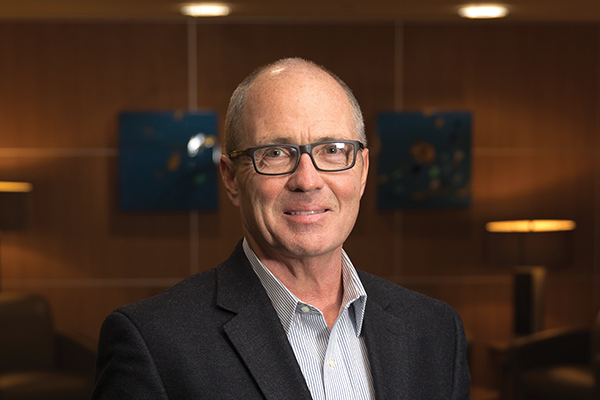 According to Matt Nolan, vice president and chief operating officer, “Healthcare organizations need to provide patient care, even while in the midst of significant renovation. A phased approach ensures that we are able to do that. Our experience and the ongoing guidance we receive from the construction contractors during weekly meetings ensures that patient care comes first.” As each department renovation is completed, the current departments are moved into the new spaces and renovation begins on the next phase. The new emergency department and laboratory are scheduled to be completed in March 2018. Once the emergency department and lab are finished, the project will begin improvements to the hospital’s radiology suite—a phase expected to be complete in the summer of 2018. This phase will locate all radiology services— two x-ray rooms, a CT scan room, ultrasound, mammography, bone density scanning, and access to a mobile MRI unity—into one main area within the facility. Space for patients to prepare for various radiological tests will make the experience more comfortable and discreet. Finally, once the imaging center is completed, the last phase of the project will renovate and reconfigure the occupational and physical therapy area to allow treatment in a more efficient space. Due to begin after the radiology suite is complete, the renovations will include four private exam rooms and a large “gym” space with equipment. Living Center in Ticonderoga. A number of organizations have made a commitment to the residents of the area that will ensure that those within the region have the opportunity to access a number of health and living-related services on a central campus. Post Acute Partners will take over the operation of the area nursing home already in place on site under the Elderwood name. There will also be senior housing, with both Lord Howe Estates and Moses Circle Senior housing already in place. Finally, the project is actively working with Hudson Headwaters Health Network to develop primary care on site. Looking to the future, administration would like to include other services at the location, such as dental care and substance abuse treatment, which would be important additions to the care that will be available. Moses Ludington owns a fair amount of land and remains open to discussions about how to enhance the project and increase access to quality local care.